The taste of sweet corn combined with a squeeze of lemon. A delicious twist for the palette. 1 Heat water in a pot and add Knorr Sweet Corn Soup. 2 Stir well and cook for a few minutes. 3 Mix in the chopped carrot, sweet corn and previously pressure cooked mung sprouts. Simmer for 5 minutes. 4 Add lemon juice, lemon grass and lemon zest to it. 5 Garnish with coriander leaves. 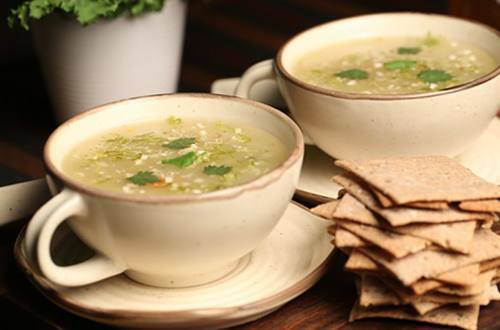 6 Cold evenings are now made warm with the nutritious and delicious Sweet Corn Lemon Soup!